ElkNut, Paul Medel, has categorized many elk sounds and taught them on over 9 hours of DVDs and CD. Even those of us who have had considerable success calling elk find that there is much to learn from ElkNut's years of studying the elk language. Even the ElkNut 5: Basic Sounds for Success , contains a couple of elk sounds that many of us have never actually heard. 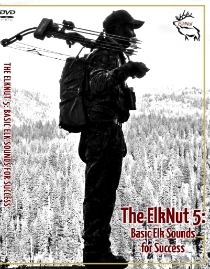 Of course, ElkNut's Sounds by the Elk CD contain live recordings of elk making those sounds, but the ElkNut 5 discusses how to make those sounds, when to use them and combine them other basic sounds for elk hunting success. We have just made the Basic Sounds DVD available on our site at the link above. I watch and listen to these between customer visits at Elk Tips Outdoor Gear. A good bit of that time I am packing orders for some of ElkNut's DVDs, CD and Playbook! In our shop we have played those DVDs on the big screen for locals who come in to watch them. These ElkNut resources or not entertaining watch-someone-kill-elk videos. They are instructional and require practice. Frankly, there is much to learn from them and it is truly like learning another language. Someone who purchased ElkNut materials from our site once said it was like "the Rosetta Stone of the elk language". He was right. Our retail store in Deer Lodge, Montana has been open since early July. We are busy putting the products in our store onto an online store, as well. It takes a lot of time to get it all added and organized with pictures, etc. But, the online store is active now. Elk Tips Outdoor Gear online store. Forgive any disorganization. Check back often, as we are organize it and adding products daily. Feel free to contact us if you are looking for something. Special orders get special attention around here. There is a lot of smoke blowing around in elk country! 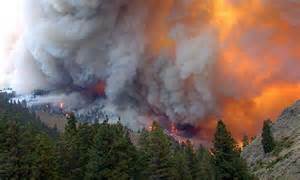 Let's pray we get some rain to avoid postponement of opening days of archery seasons and especially pray for those putting there lives on the line to manage those fires! Your support of ElkHuntingTips.Net through purchases of products from the site, or by visiting our advertisers is appreciated!